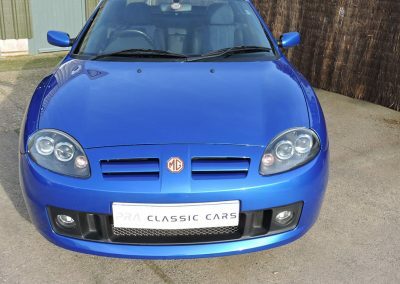 This late MG TF 135 cool blue edition is finished in trophy blue metallic with blue alcantara seats and 16” Abingdon alloy wheels. 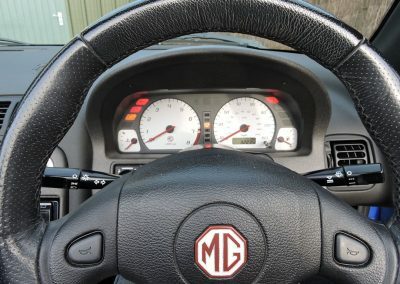 The car has covered a very low 32000 miles and is in exceptional condition and comes with a full service history and an all important cam belt change just over 5000 miles ago. 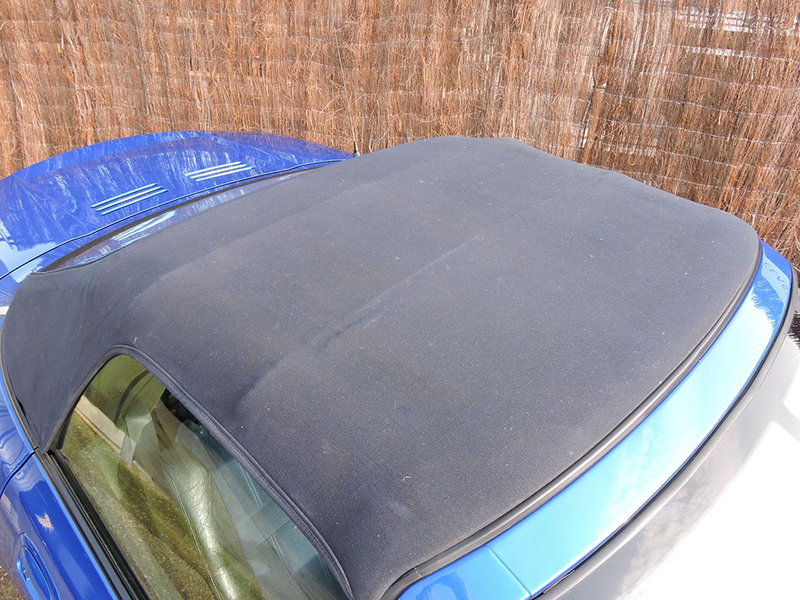 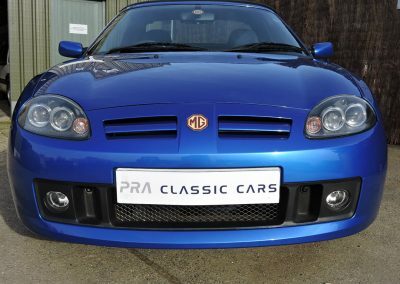 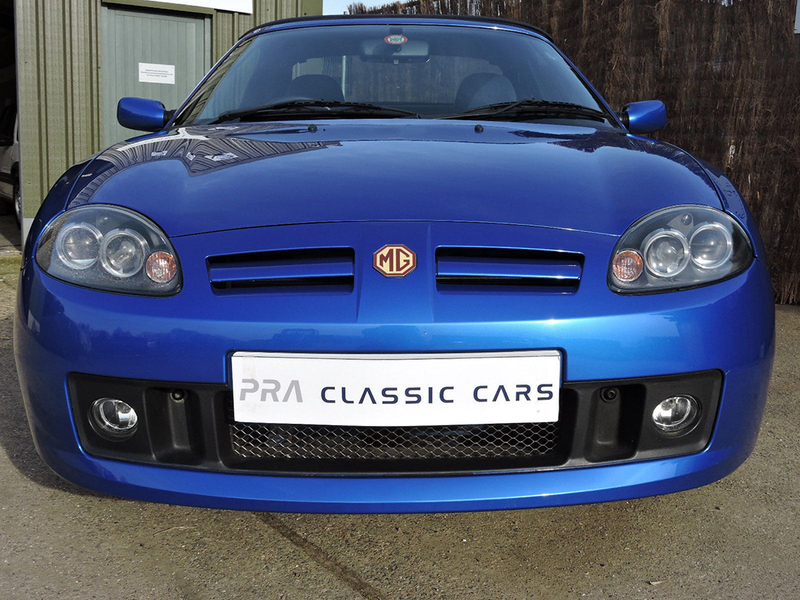 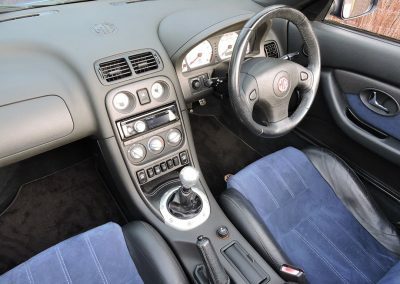 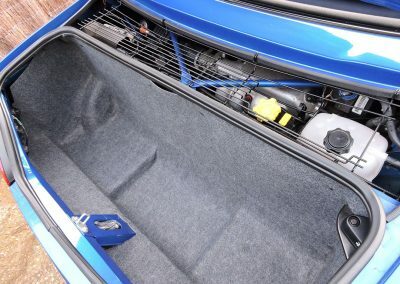 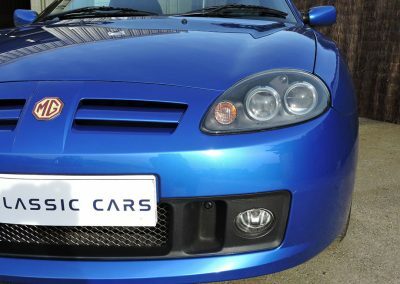 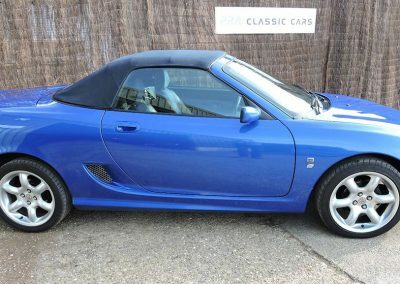 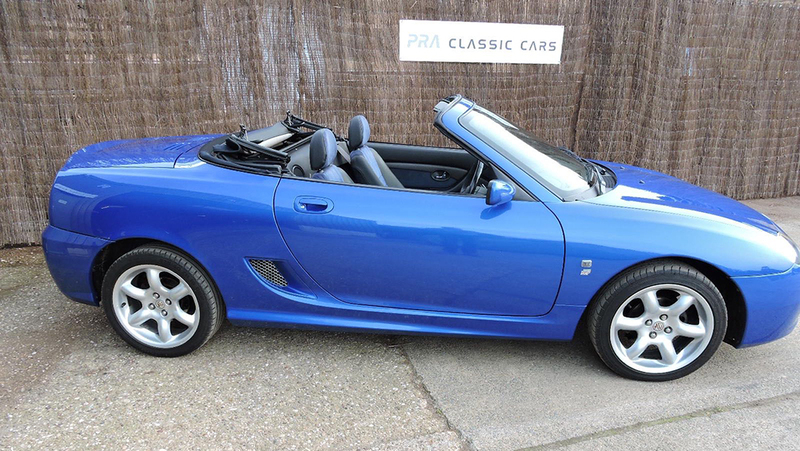 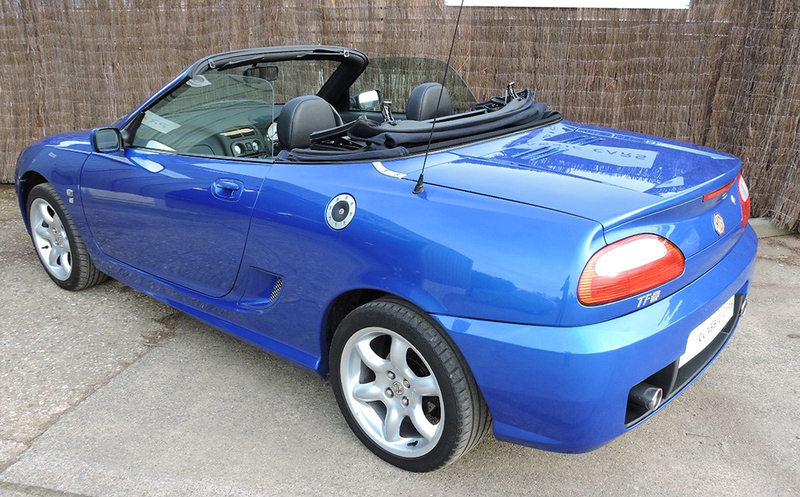 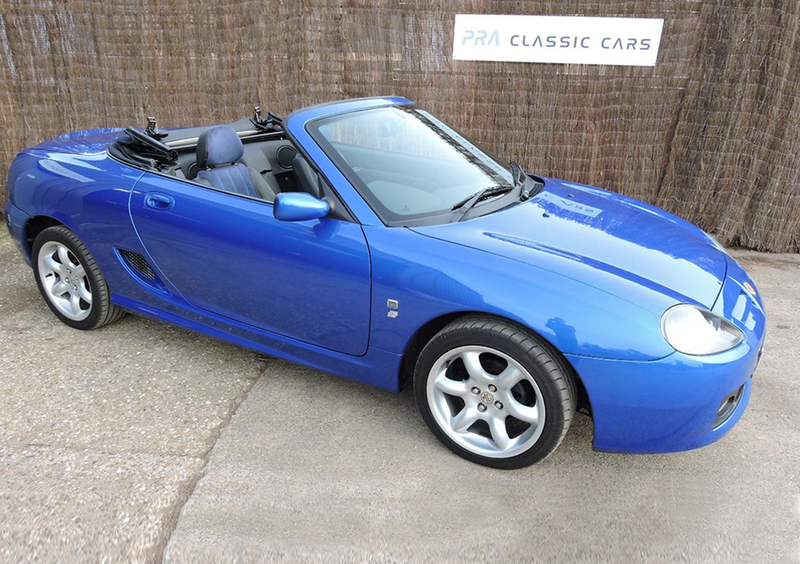 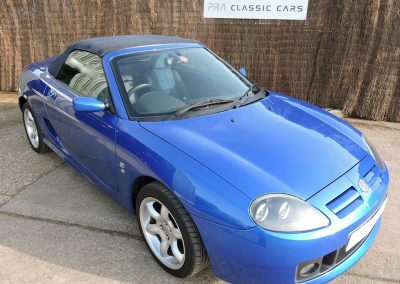 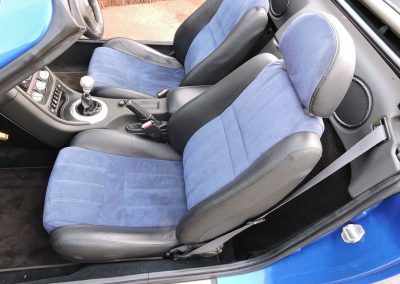 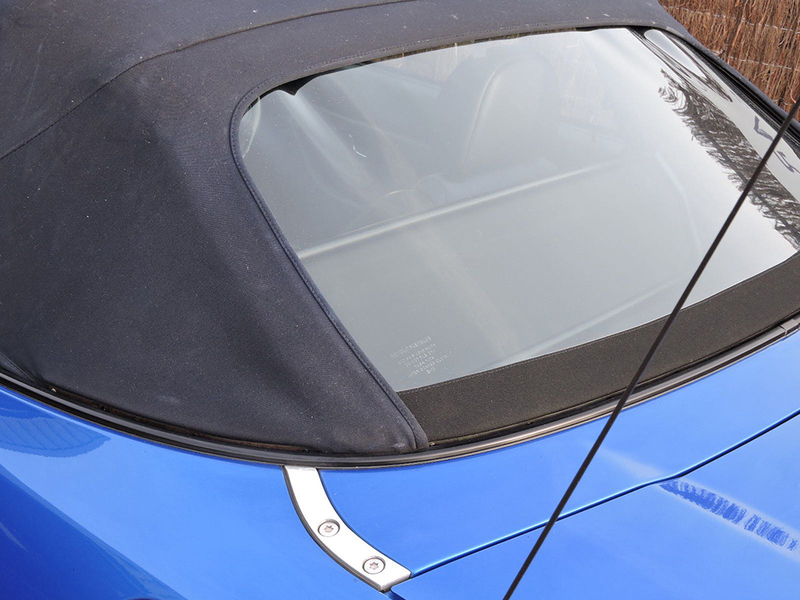 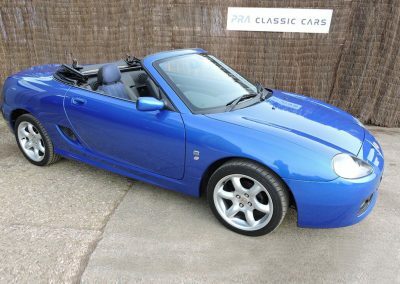 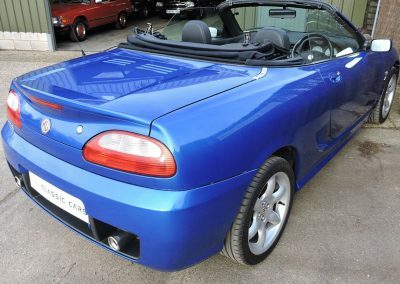 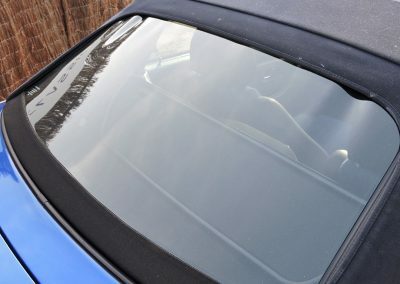 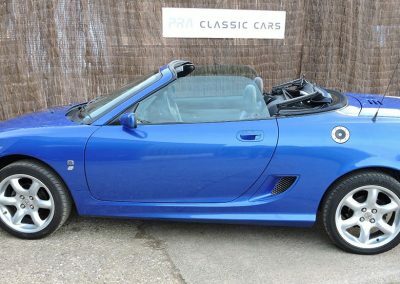 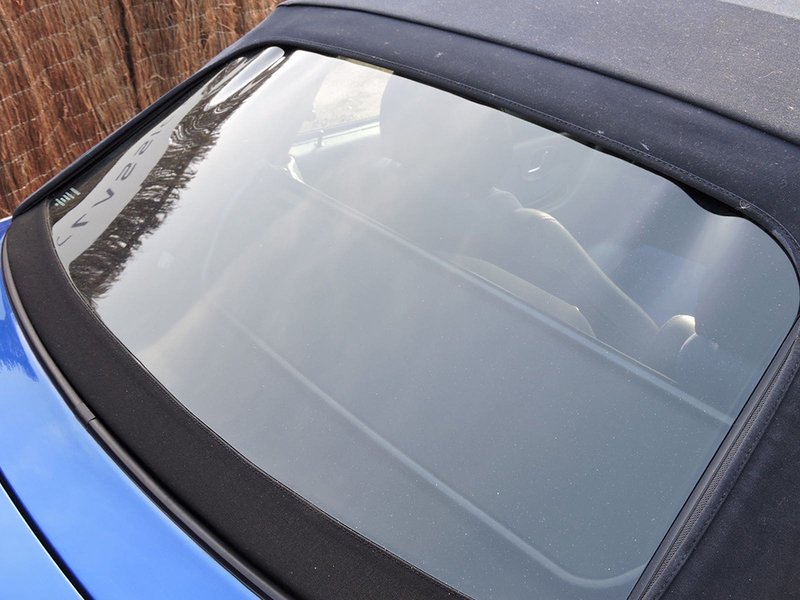 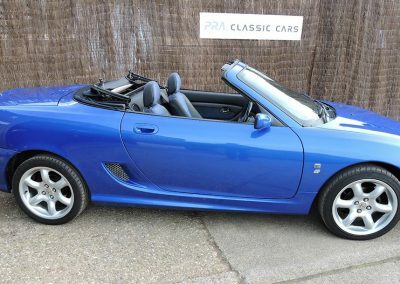 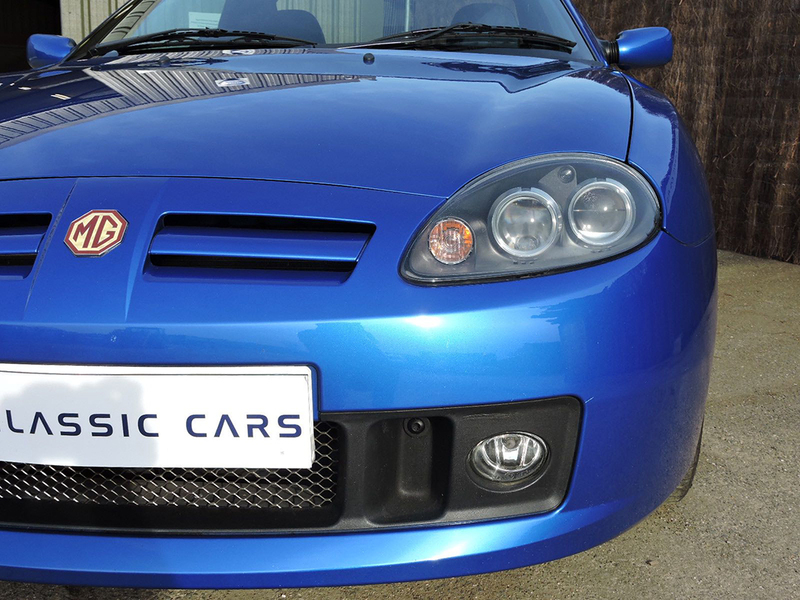 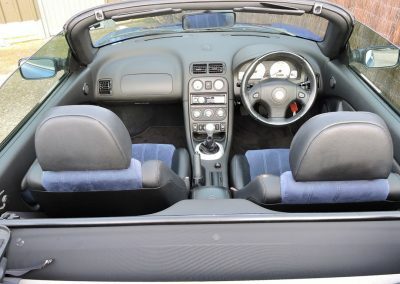 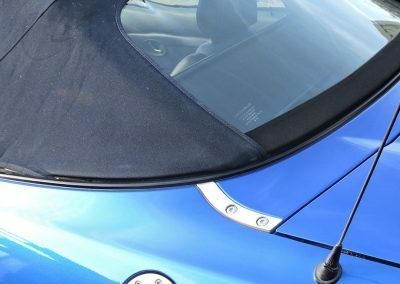 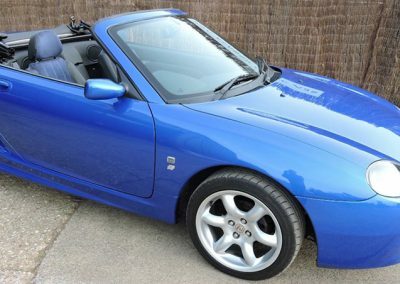 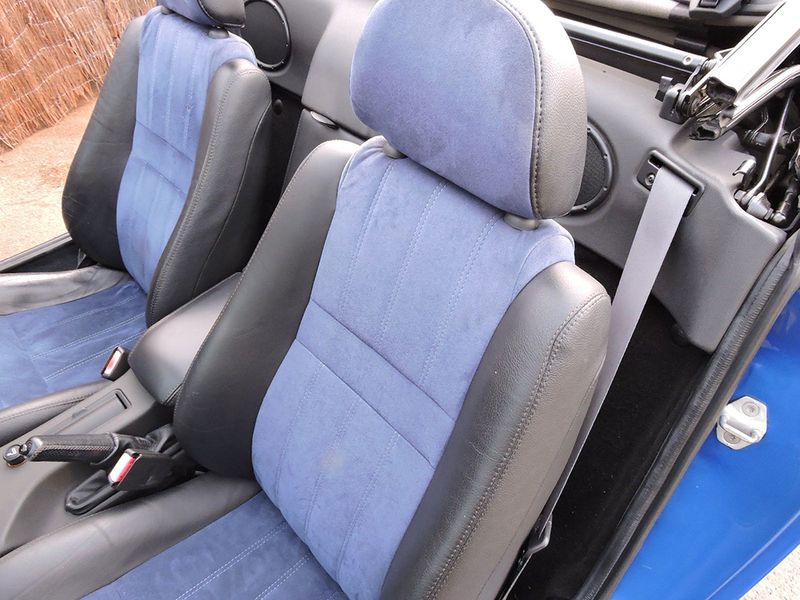 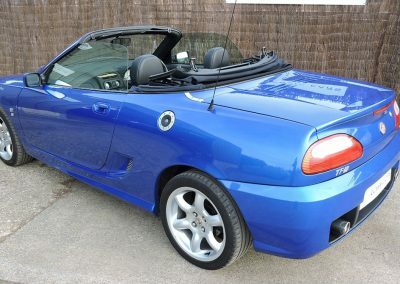 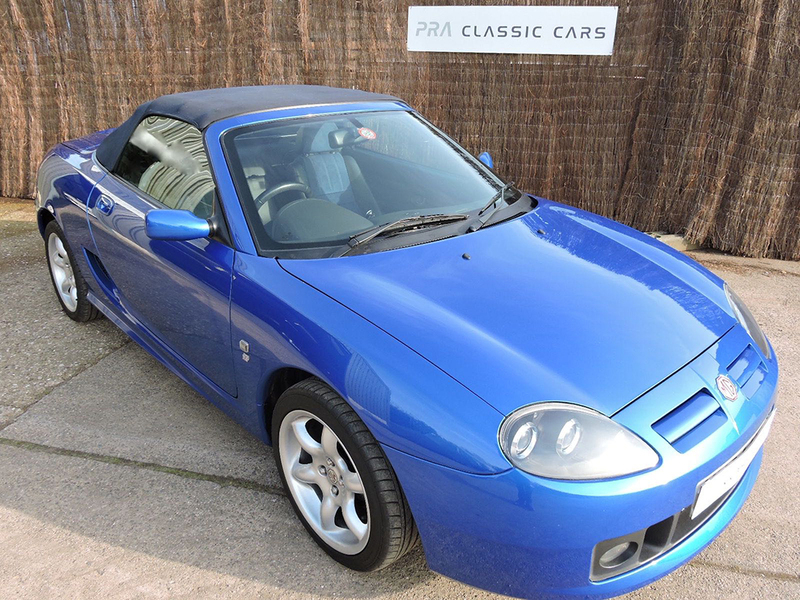 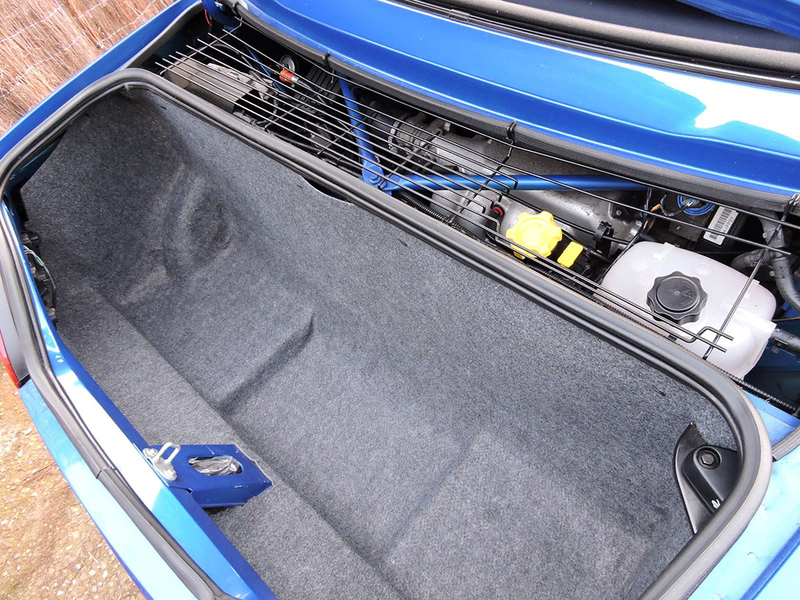 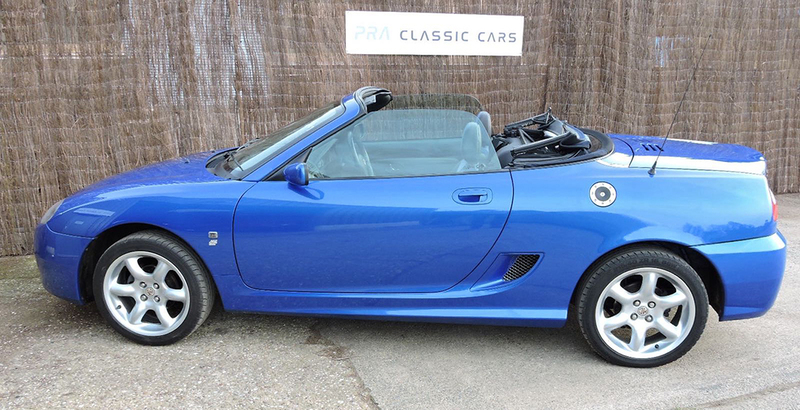 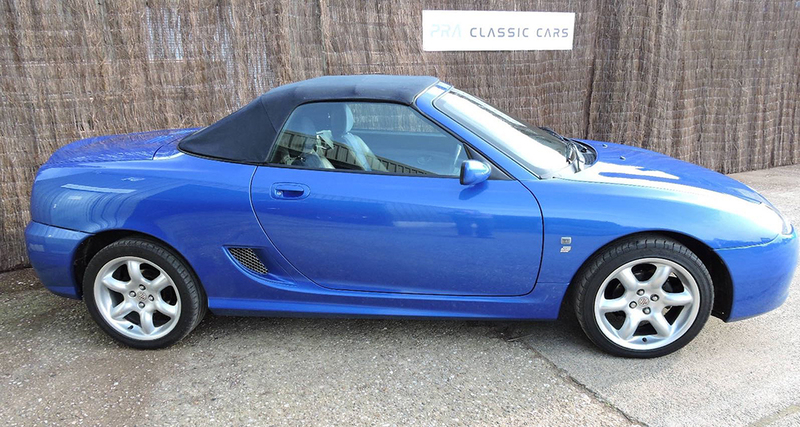 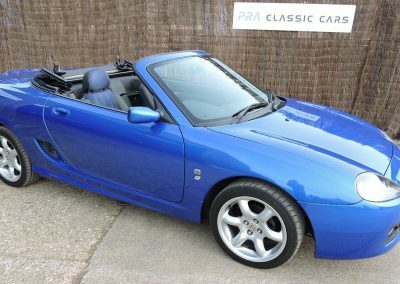 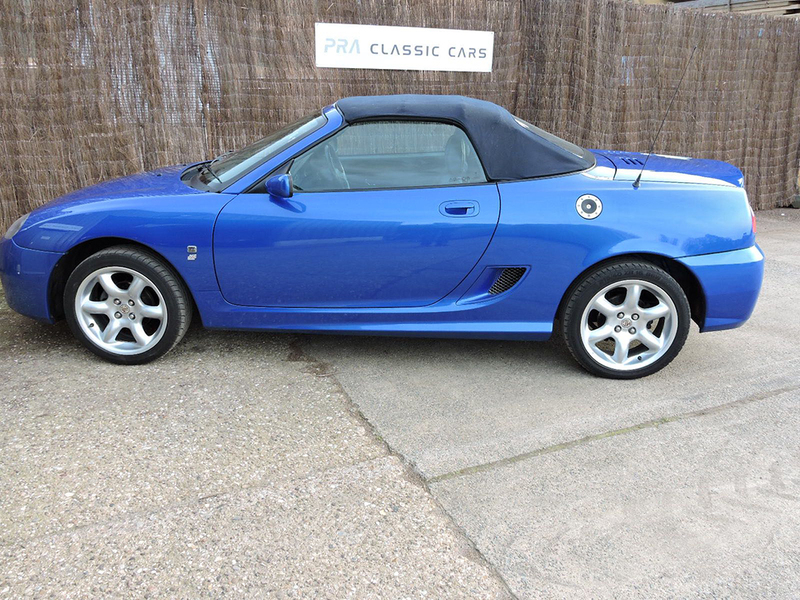 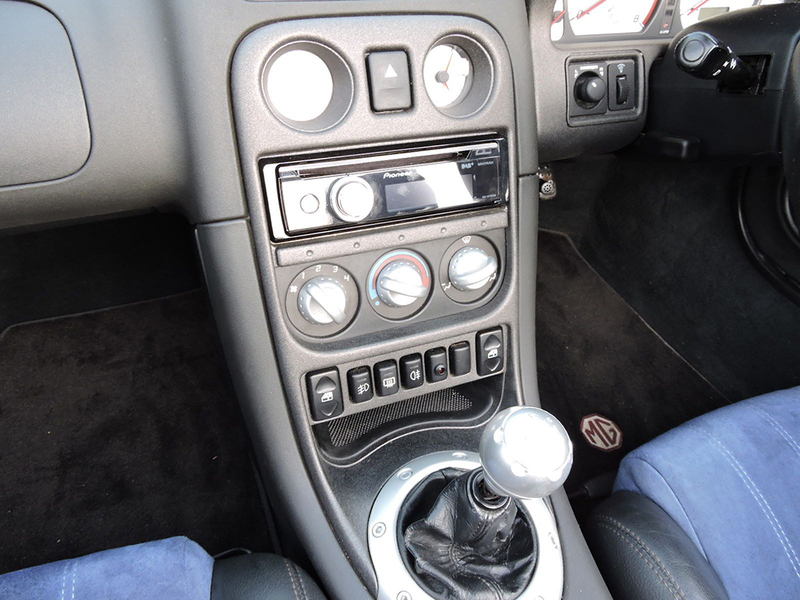 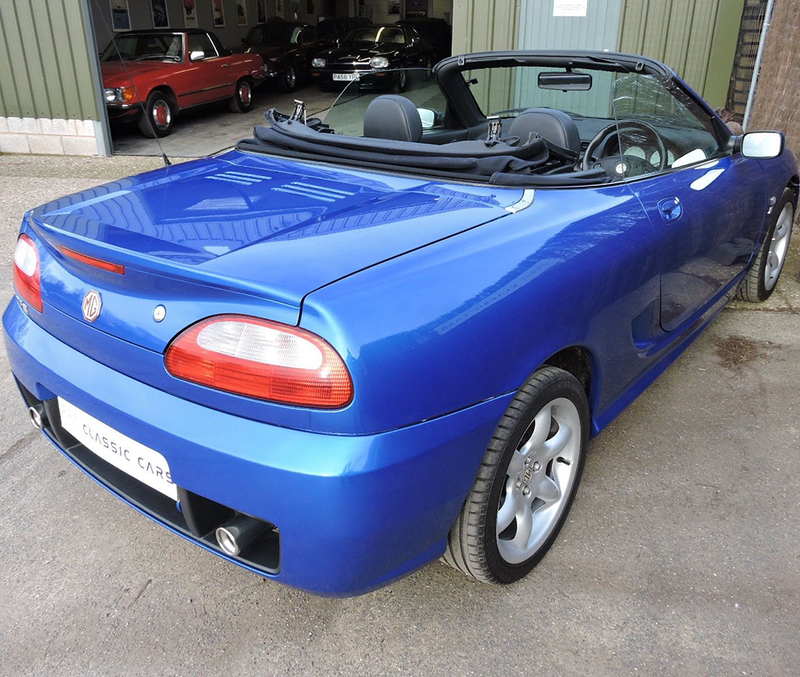 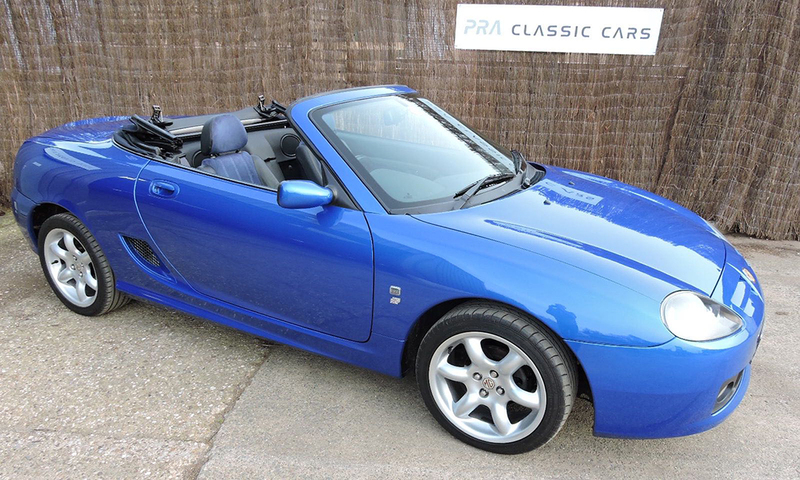 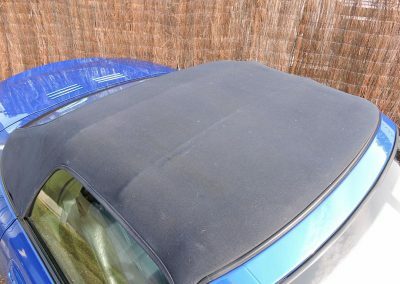 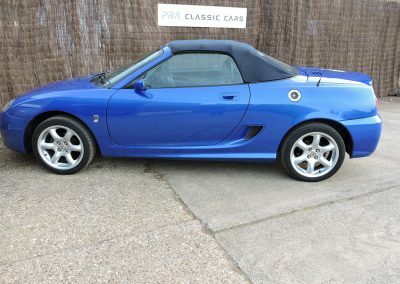 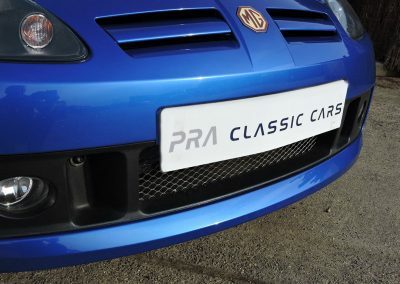 Previously owned and enjoyed by an MG Owners Club member the car is virtually unmarked and has just benefited from a new rear screen and comes with a coordinating hard top. 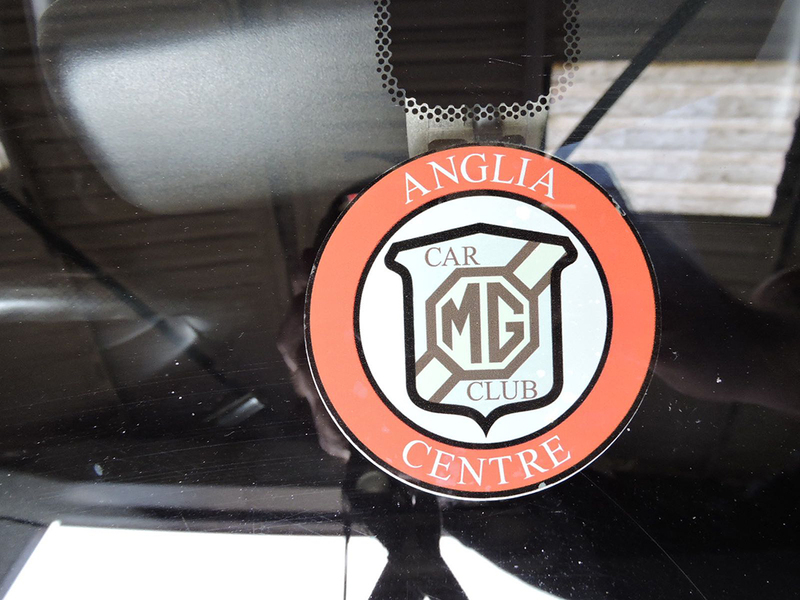 First registered in April 2004 and supplied by Rover/MG dealer Soul of Olney. 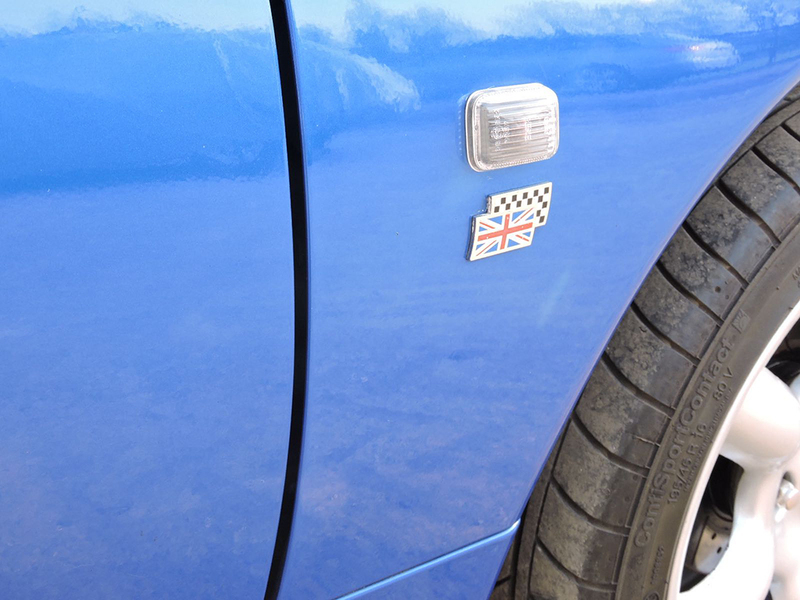 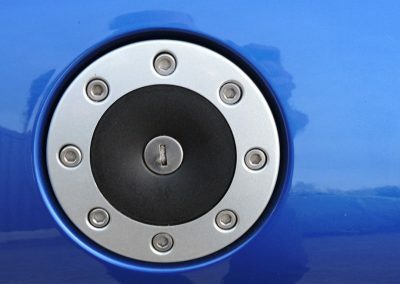 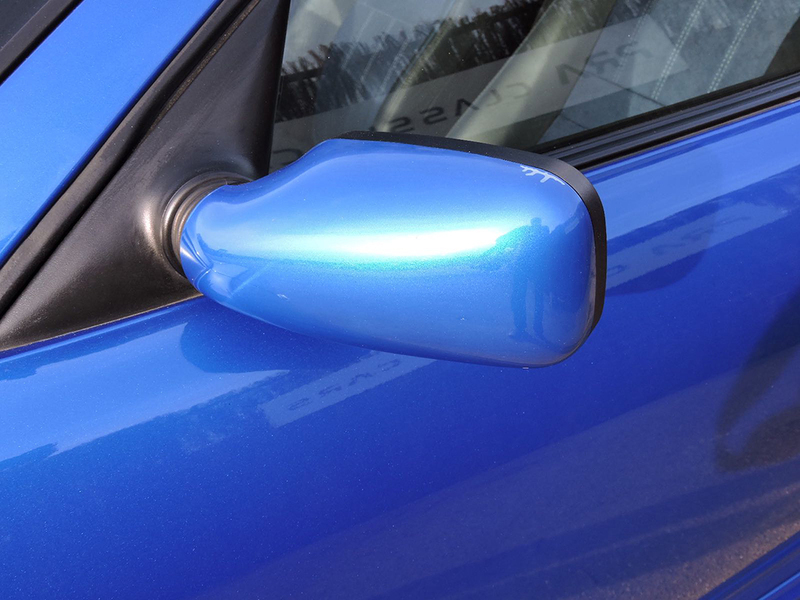 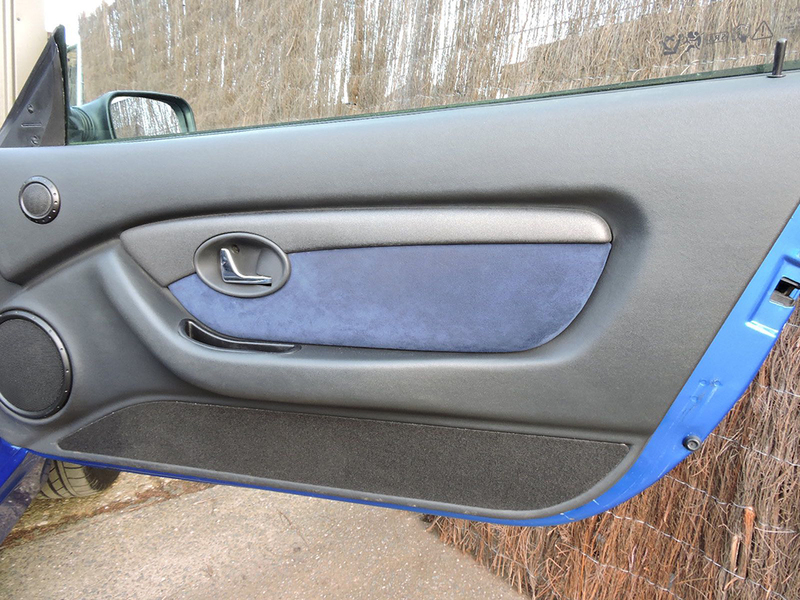 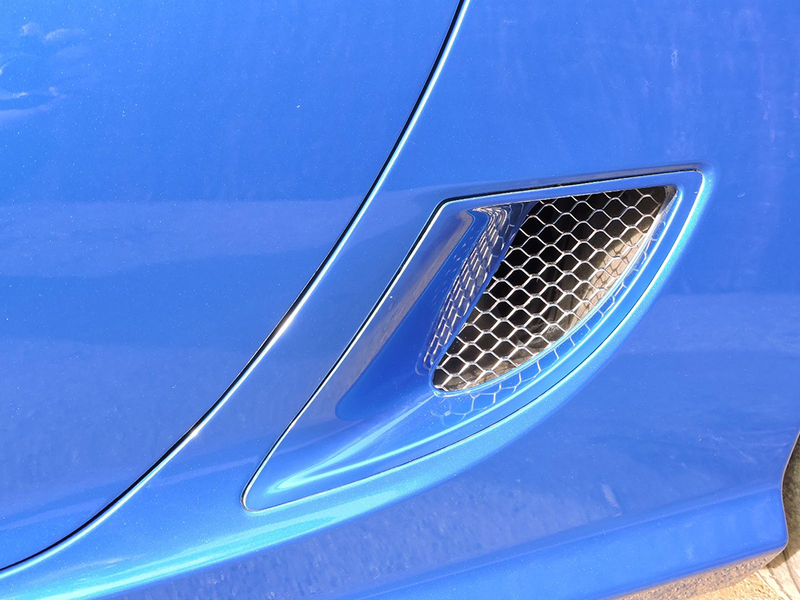 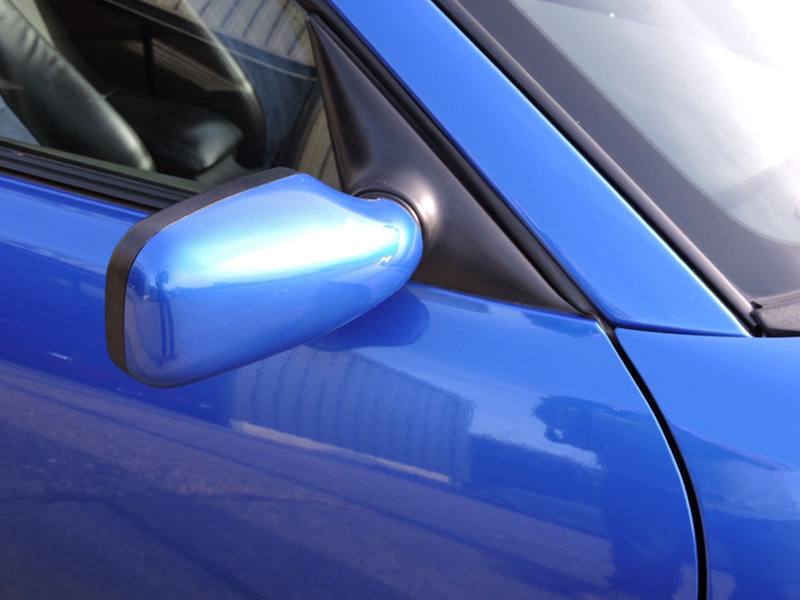 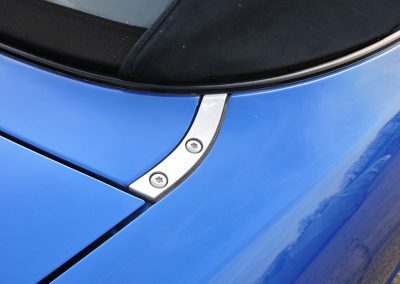 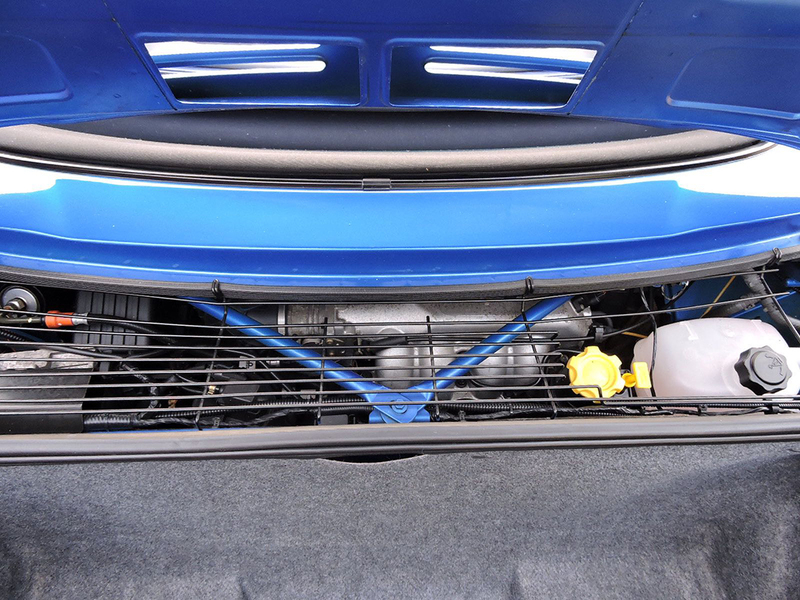 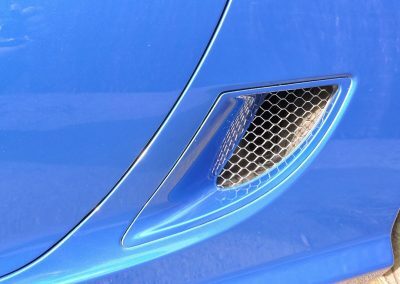 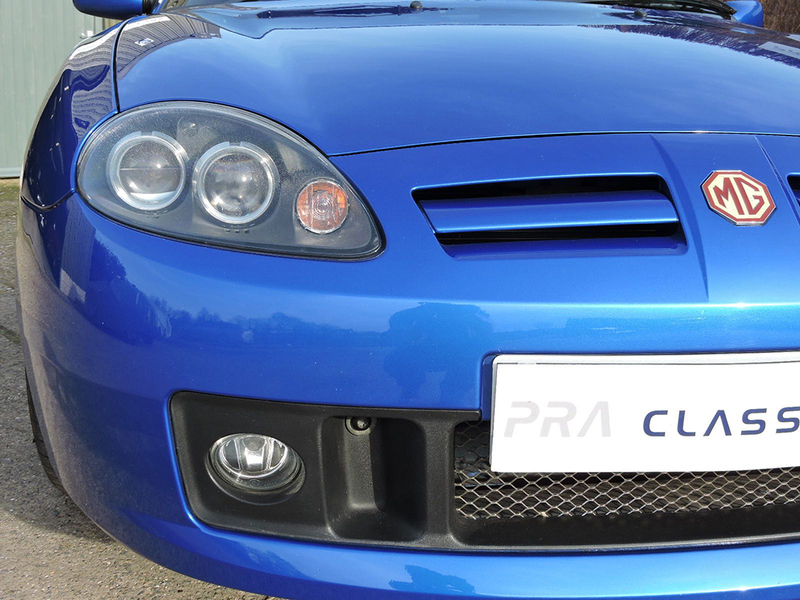 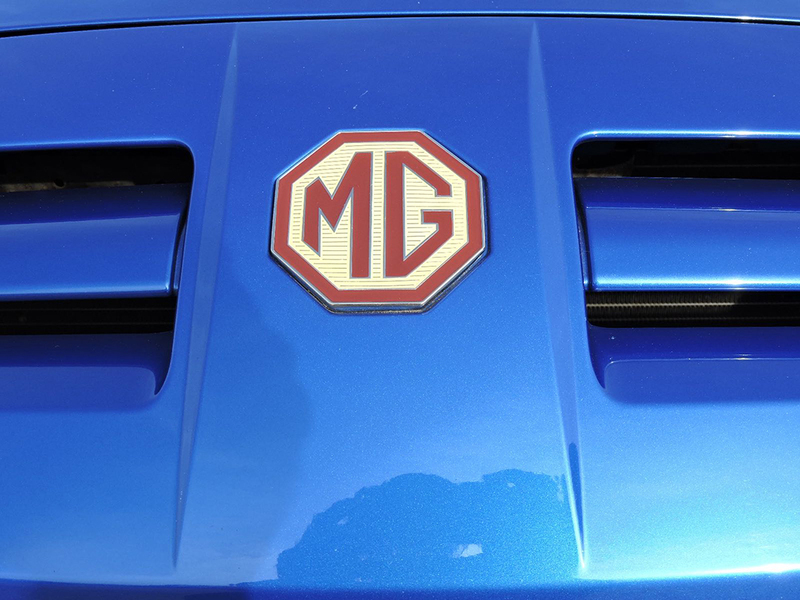 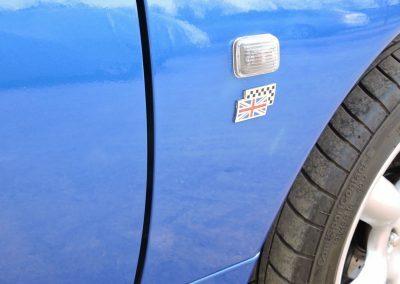 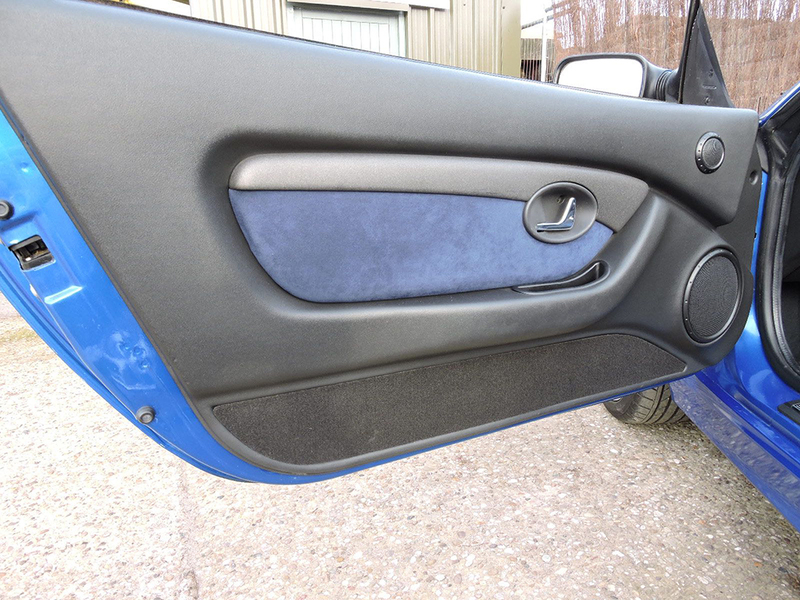 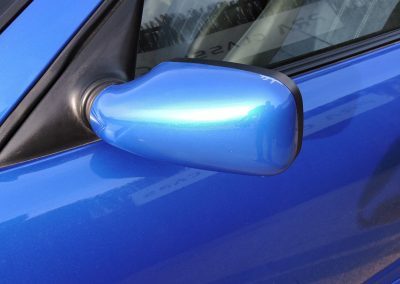 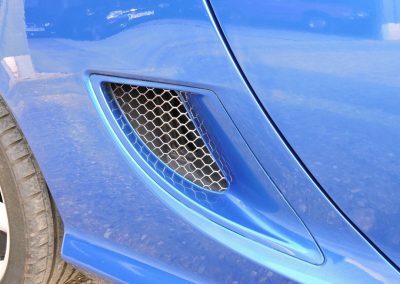 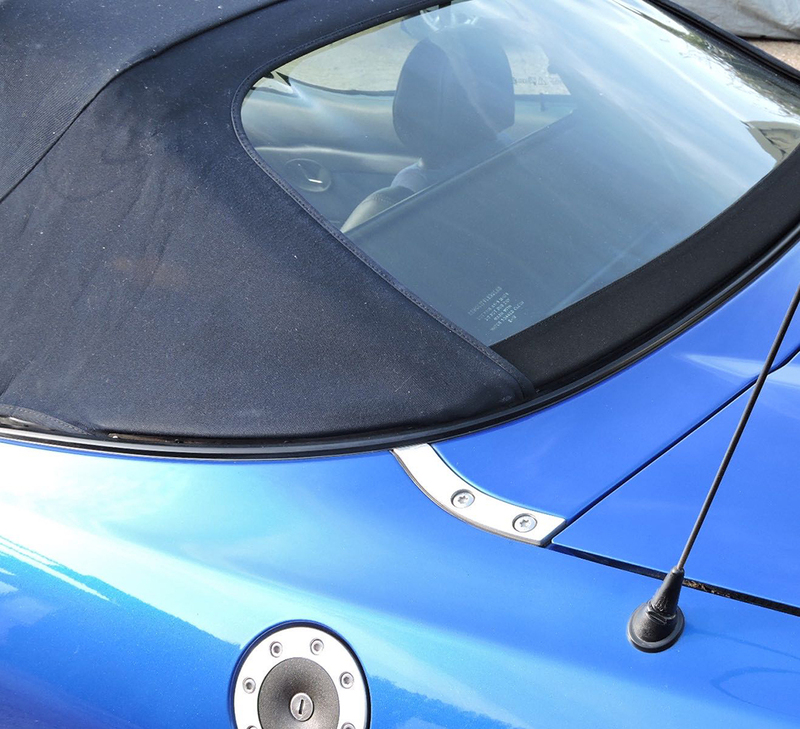 The Trophy blue metallic paintwork is in exceptional condition for the cars age with only a few stone chips. 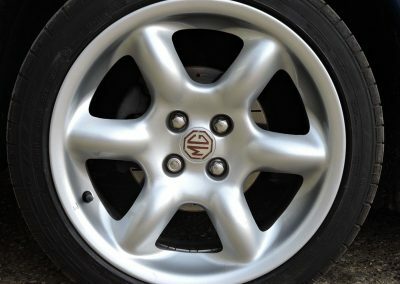 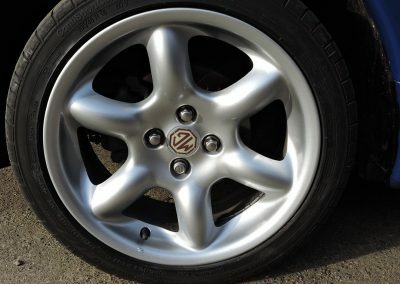 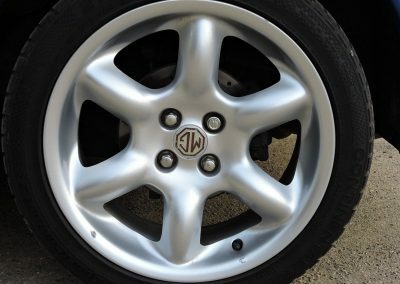 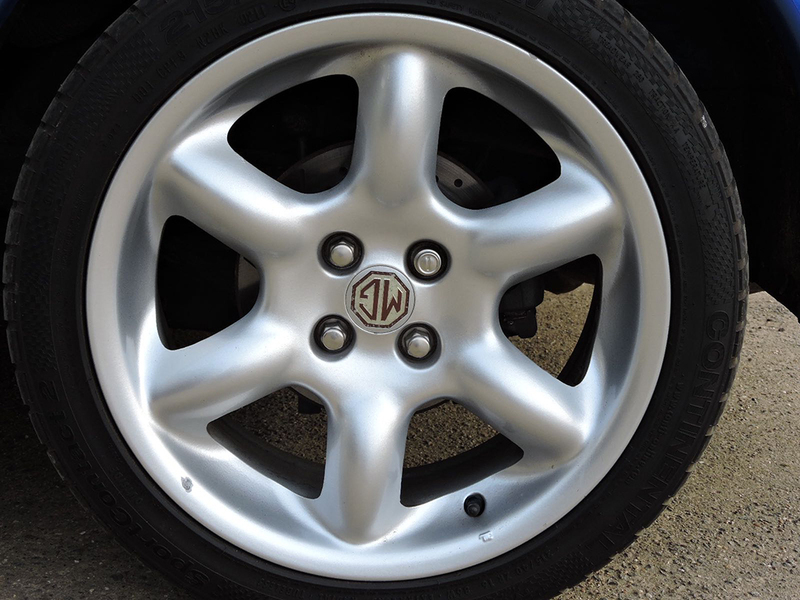 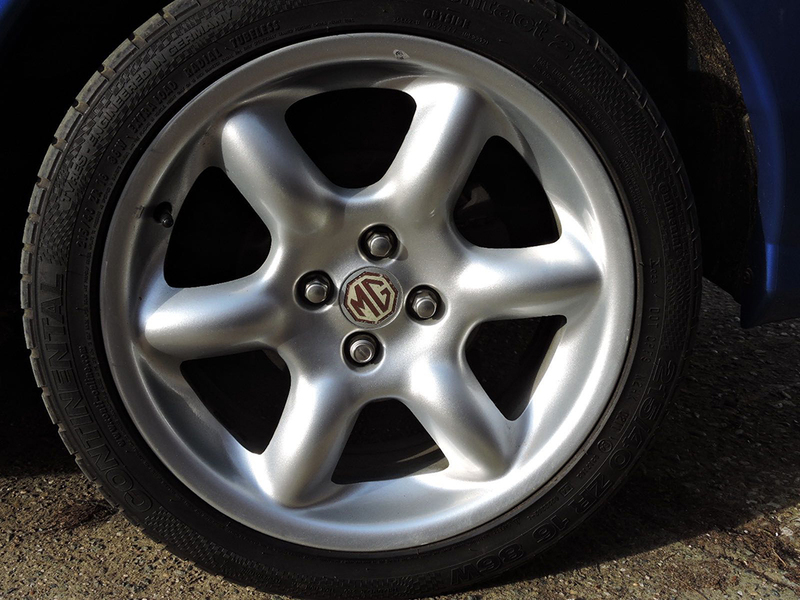 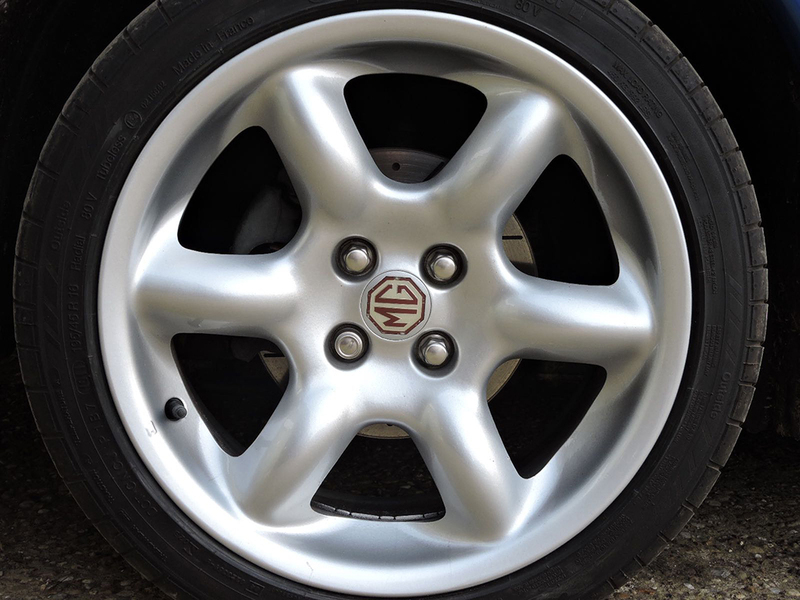 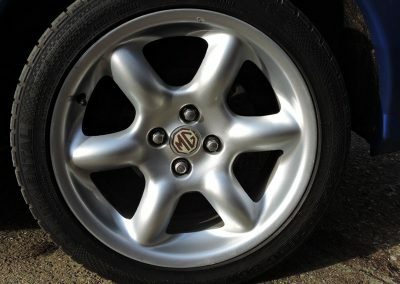 There are no dents or dings that are evident and the alloy wheels are in very good condition. 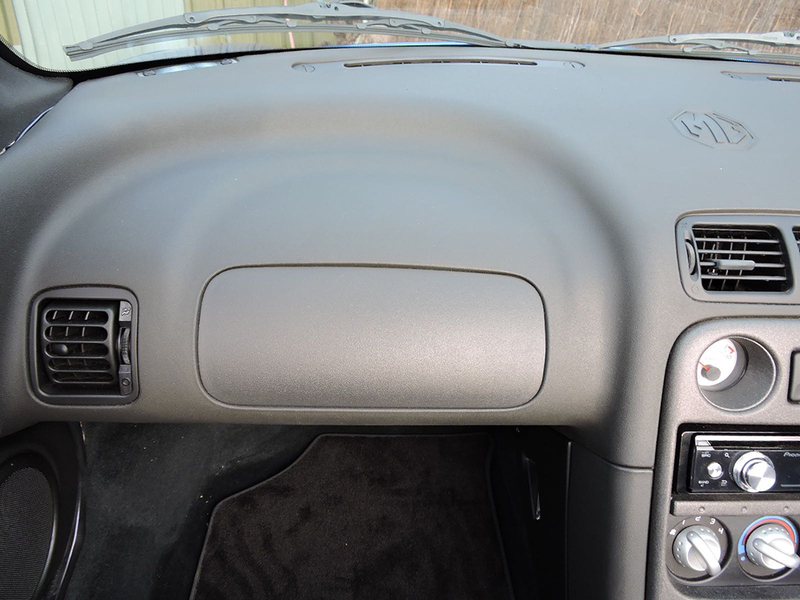 The hood has just had a brand new rear screen fitted and is easy to operate and in excellent order. 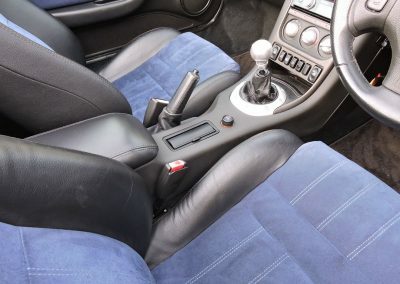 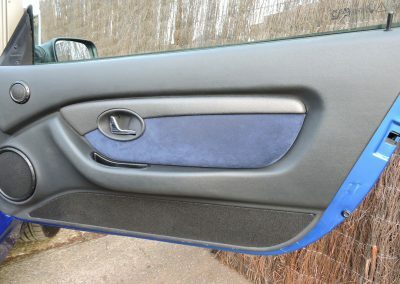 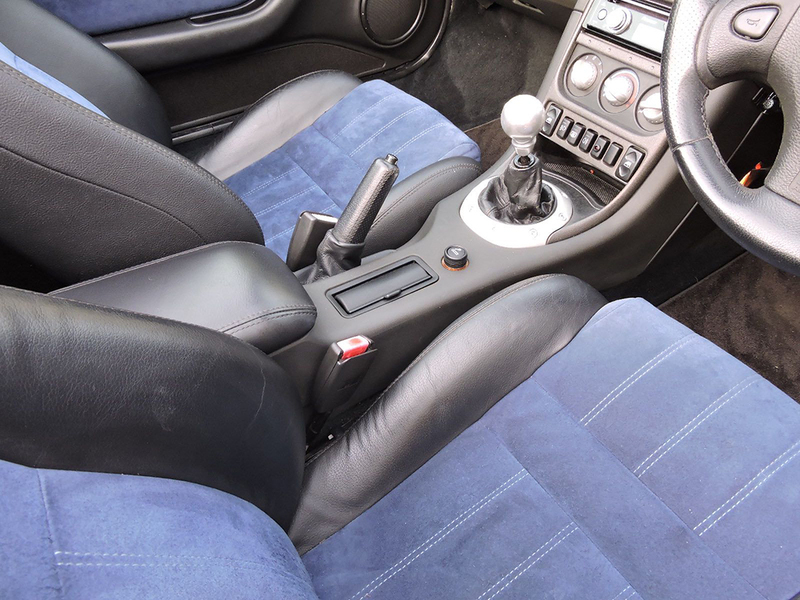 The door cards, dashboard and carpets all look in pristine condition and everything works as it should. 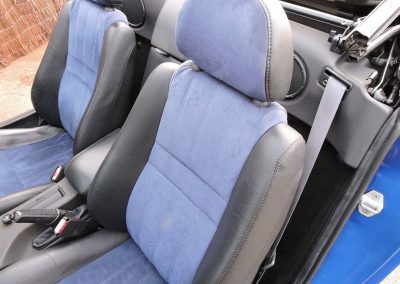 The passenger seat looks brand new whilst the drivers seat is excellent it does have a small snag on the back rest. 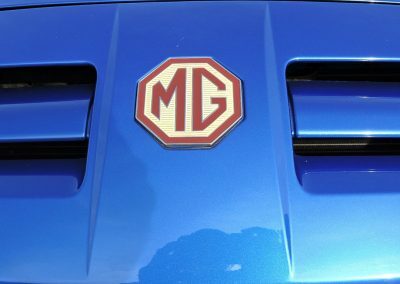 The MG has the following equipment. 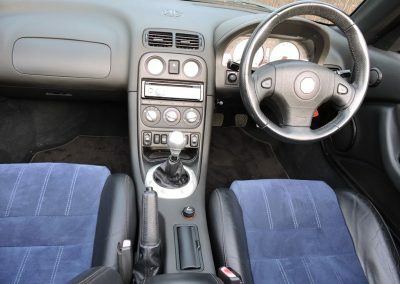 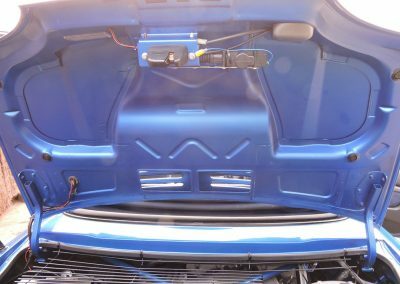 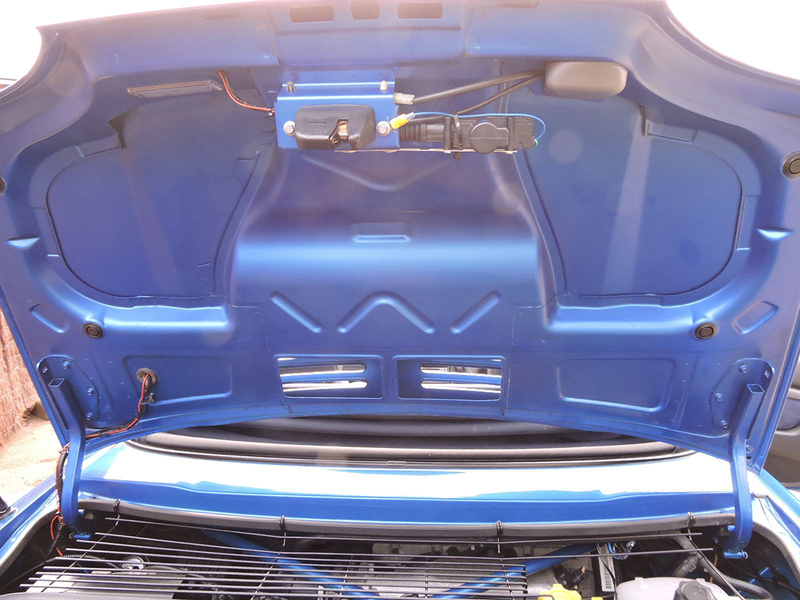 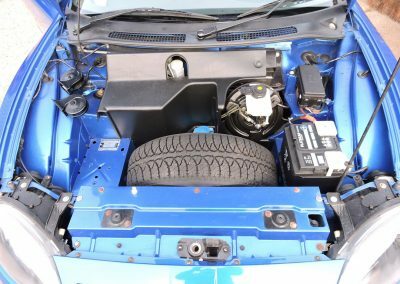 PAS, ABS, Drivers Air Bag, Electric Boot Release, Central Locking, Alarm, 16” Alloy Wheels, Electric Door Mirrors, Adjustable Steering, Blue Tooth Pioneer Stereo with 6 Speakers. 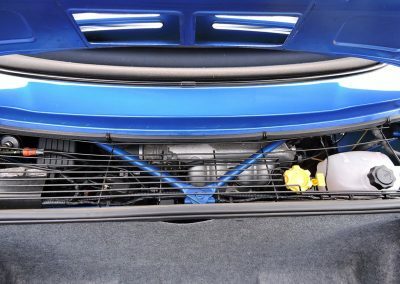 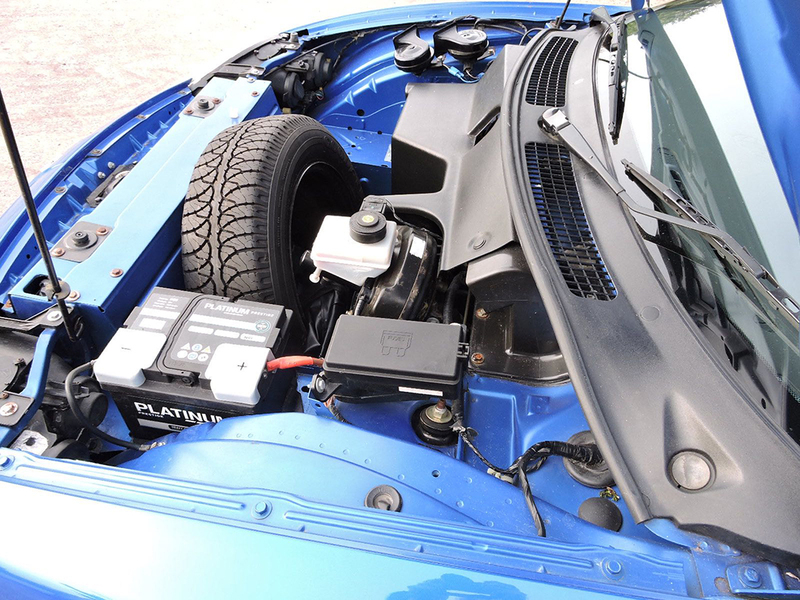 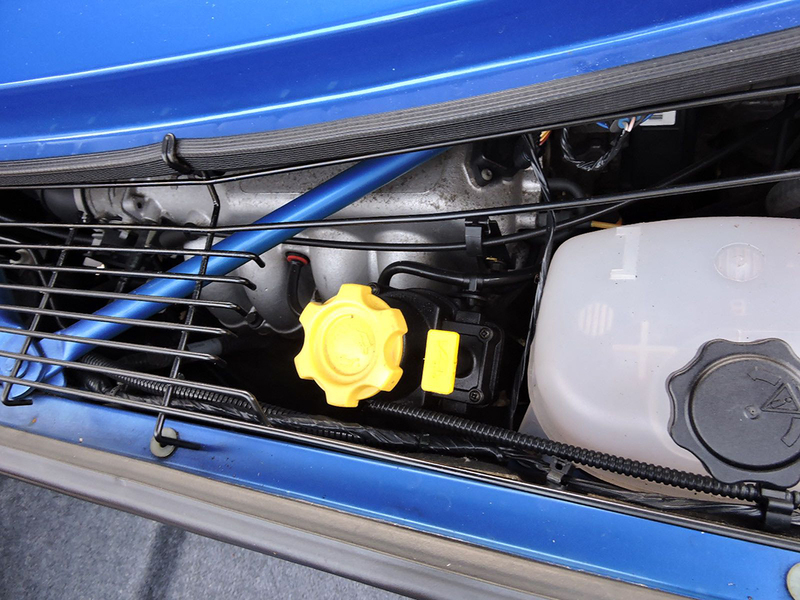 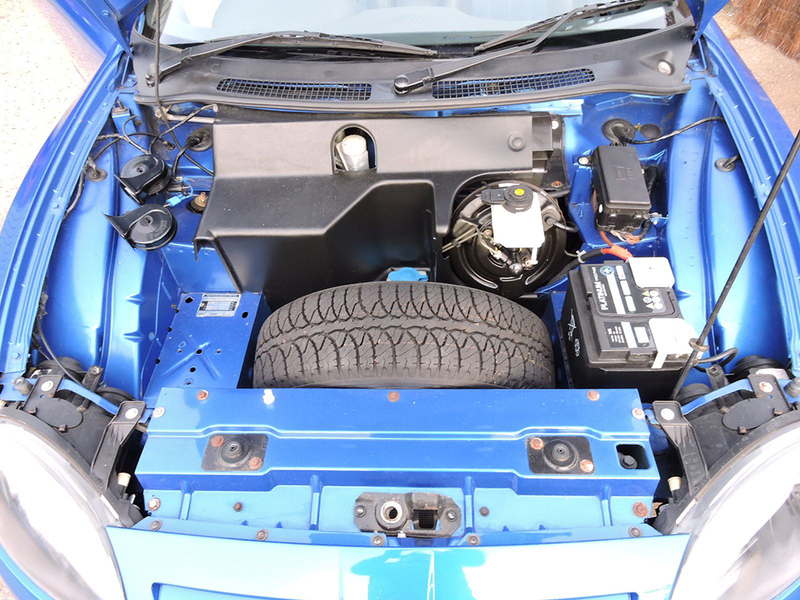 The engine produces 135 BHP and propels the car to 127 MPH and can achieve 0-60 mph in 8.2 seconds. The car drives very well indeed and the engine is smooth and free revving. 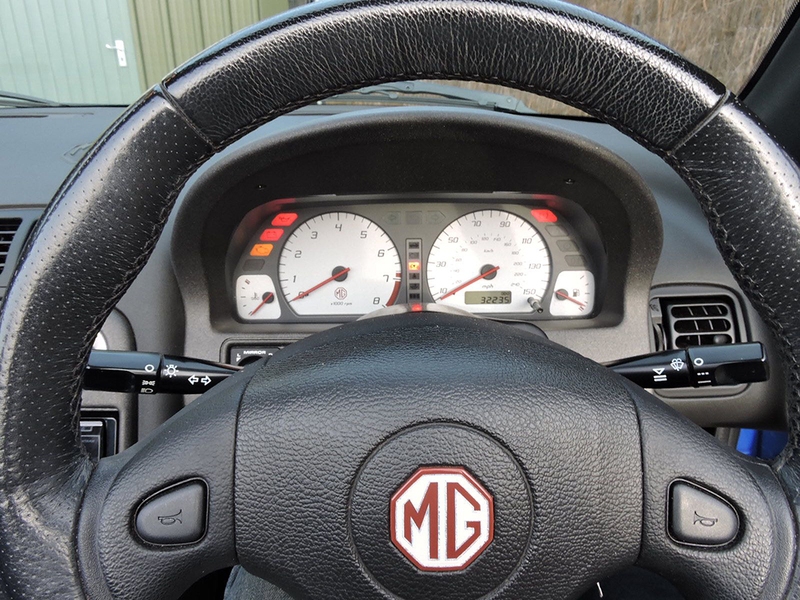 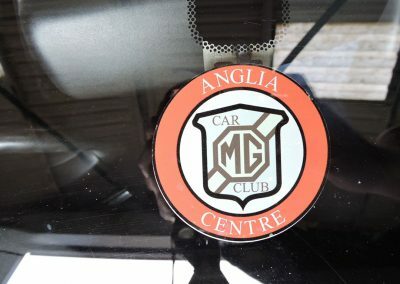 I drove 100 miles to the MG Owners Club and back to have the new rear screen fitted and the car drove exceptionally well. 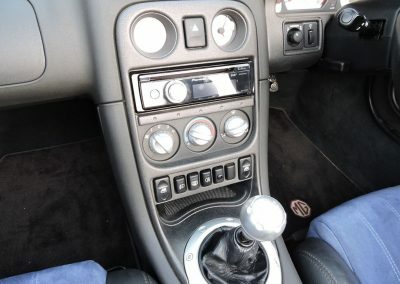 The 5 speed gear box is again smooth and the brakes pull up the car well and straight. 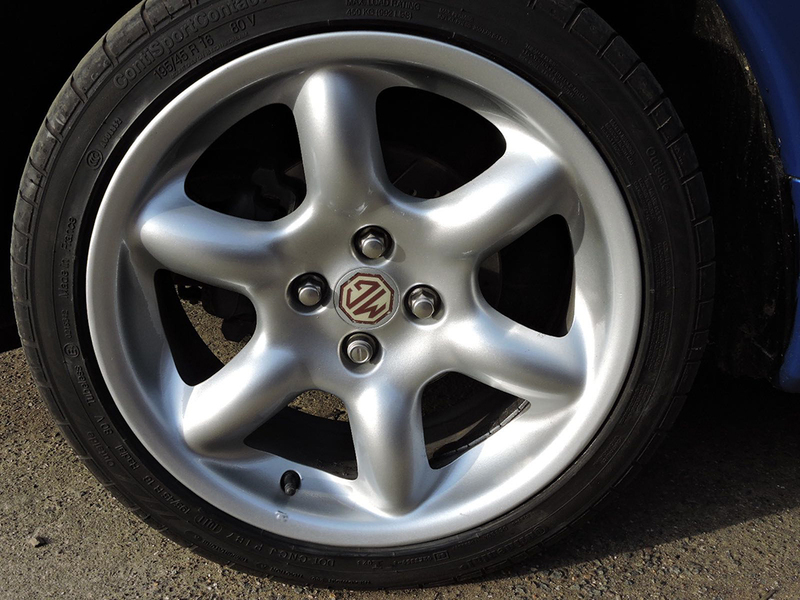 The tyres are matching Continental Conti Sports and have lots of tread left. 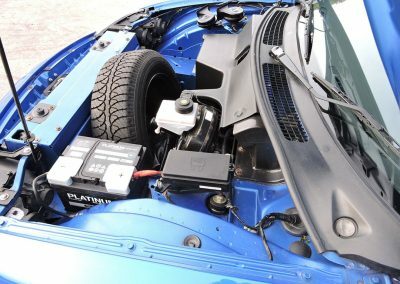 The cam belt and alternator belt were replaced at 26800 miles.